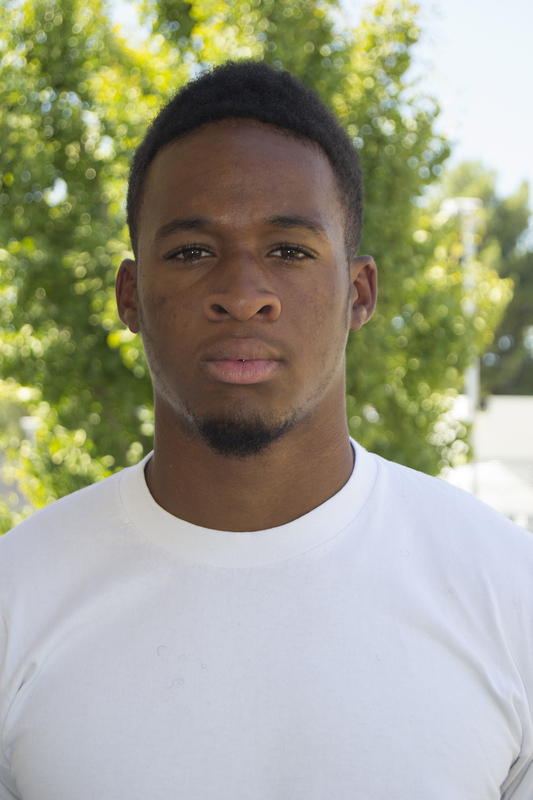 Pierce College safety, Deandre Jordan, had a great first game to kick off the 2014 Brahmas football season. He led the team with 10 tackles in last Saturday’s game against the College of the Desert Roadrunners. Jordan, 19, is in his sophomore year at Pierce and majoring in kinesiology. In the last game against College of the Desert you had 10 tackles. The offense seemed to really struggle in the first half but how did the team manage to come back and take control of the game? How did the team regain focus? Just having trust in the offense that they’re going to do their job and for them to trust us that we’re going to do our job. I wasn’t really worried about the offense. I just wanted to make sure the defense kept doing what they were doing by stopping the other team from scoring and keeping them out of the end zone so the offense could score. How did the defense (despite giving up more yards and more first downs) manage to hold the opposition to only 17 points? We were able to do that because we forced turnovers. We had some mental mistakes ourselves but we were still able to force turnovers. Basically in football the team that gets more turnovers is most likely to win the game so that’s what we managed to do. Do some football games mean more to you than others? I go into every game the same way but I do tend to treat some games and teams differently. Everyone wants to play Pierce. Certain teams we respect a little bit more than others but we have to respect everybody because everybody wants to beat Pierce. What teams are some of your biggest rivals? Is Southwestern one of them? Southwestern isn’t one of them but they will be one of our toughest games this year. One of our biggest rivals would be SMC (Santa Monica College). What do you see when you’re playing on the field? What keeps you focused and in the game? Just making sure I do my job and making sure I do my responsibilities, especially as a safety. I’ve got to call out plays if I see the other team motioning and shifting to different plays. I have to be the person who calls it out and let the defense know what the other team is doing before the play. What is the most crucial moment of the game for you? I would have to say when it’s a two-minute drive or the last drive and the defense has to make a stand. We have to go out there and make a play when the other team has the momentum and be able to stop them from going and doing what they’re doing. Do you feel like your coaches and teammates rely on you? Yes. I feel like the coaches rely on me to make plays in the defense. I feel like I’m one of the leaders out there to take charge of the defense. What are your expectations of this team and what do you think the team can accomplish? Is the team any different after losing key players after last year’s American Bowl Championship? I have high expectations for this team. I feel like we have just as much talent this year as we did last year and that can take us a long way. We have great coaches as well and they do their best to put us in the best situations so it’s really on this team to go out there and execute the plays and win ball games. What’s your favorite memory so far while playing for Pierce? Winning a bowl game, that was a really good feeling. How do you feel about being named the Player of the Week? I like the fact that I was the Player of the Week. It does put a lot more pressure on me to go out and have a better week than I did last week, but that’s what I want to do anyway. I’m not really one that likes the spotlight or being in the light.